The torrential rain and flash flood warnings these past weeks have not been fun. Dear Chicago skies, what's to cry about when it just starts to actually feel like summer? Probably the worst is the humidity after the rain. 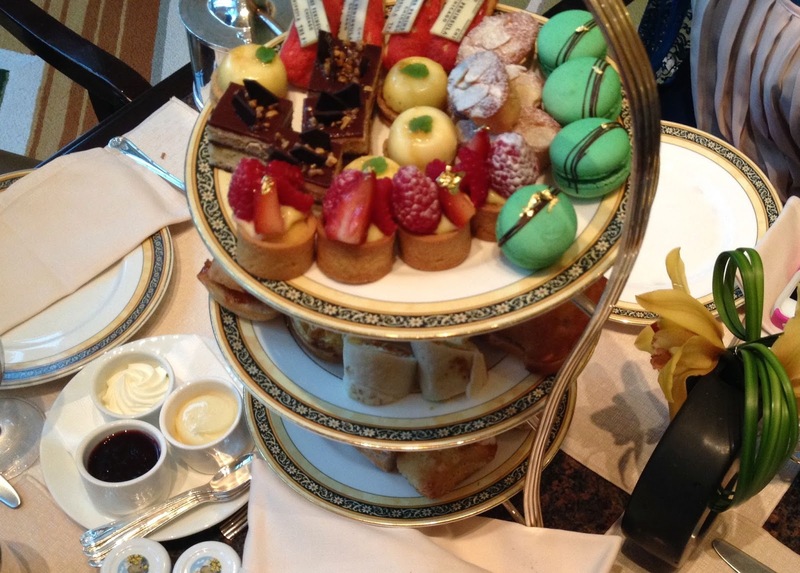 But a few friends and I took the chance to spend time in downtown Chicago to do some actual shopping, not the online kind, and have afternoon tea at The Peninsula. Luck was on our side! The moment we finished shopping and stepped into The Peninsula, it started pouring out of the blue. We were so thankful! 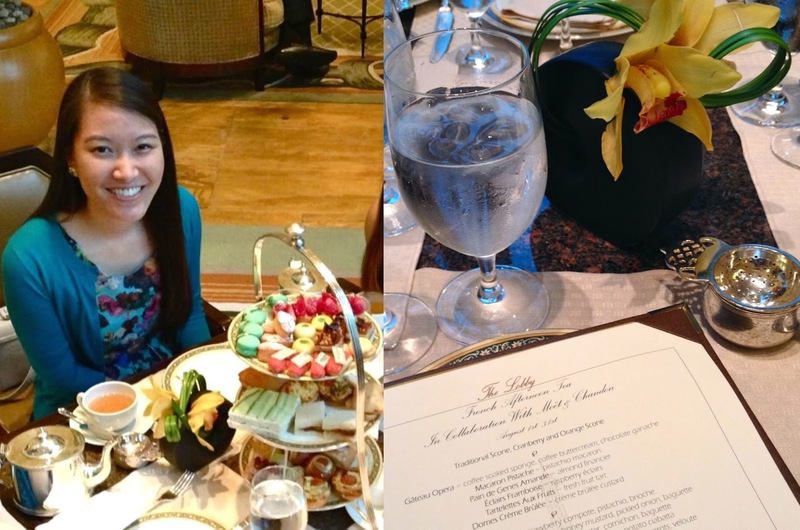 Plus, we loved our tea experience at The Peninsula! The tea selection was amazing and deliciously strong no matter how many times they refilled my teapot. And the food. YUM. I'm used to those white bread cucumber finger sandwiches at afternoon tea. But the savories were scrummy (scrumptious + yummy)! I loved every selection. 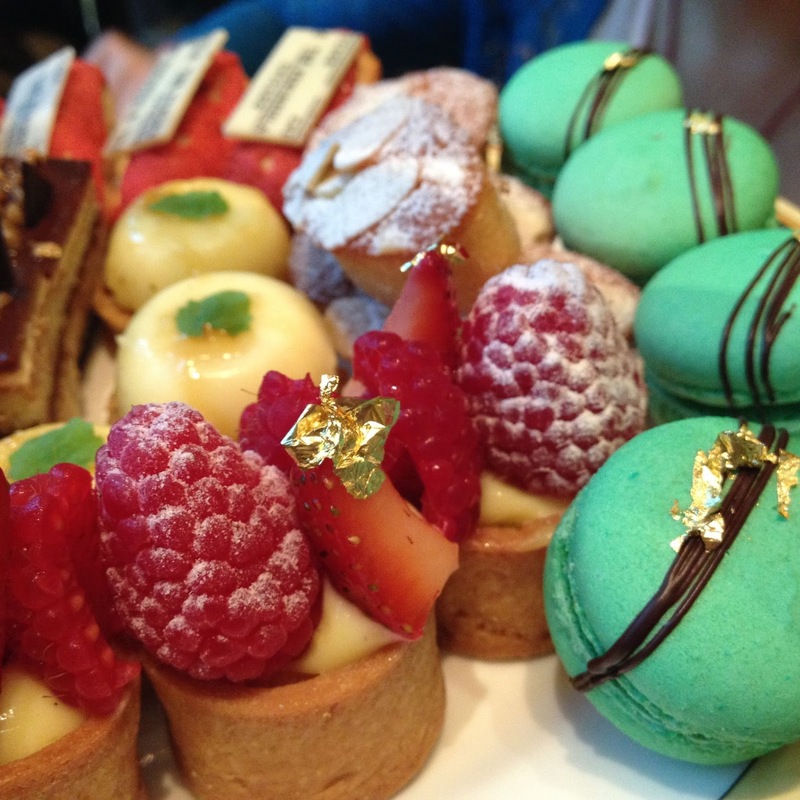 The pastries were so beautiful I didn't want to eat them. But of course I did. 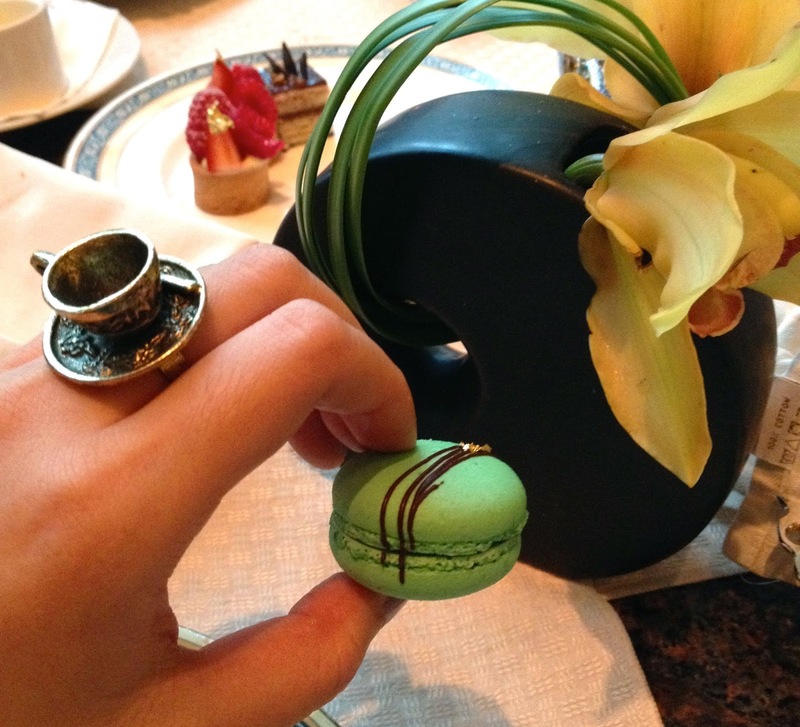 My favorite was the pistachio macaron. So light, but flavorful. They also had mini eclairs that made me question how they filled them since they were so tiny! Props to the pastry chef for that kind of skill! I know this is the second Chicago restaurant review I've written in a row. But I've been eating out so much this summer that I thought I should share a few highlights. 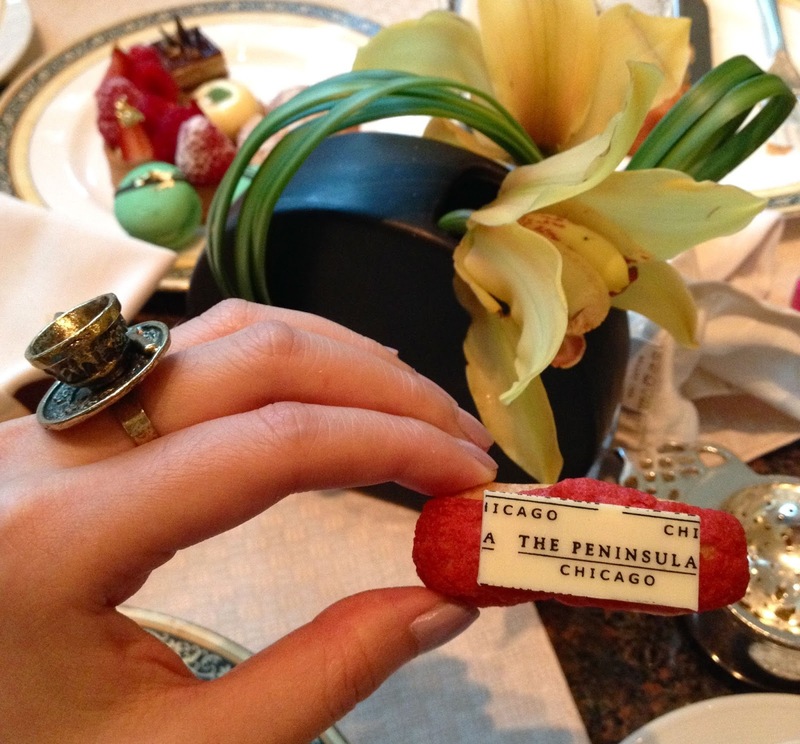 I hope you enjoyed reading this Chicago dining experience! I'll be co-hosting the Stylish Tuesday link up next week, so be sure to follow and join! I can't wait to see all your posts! That pastry selection looks delicious!! 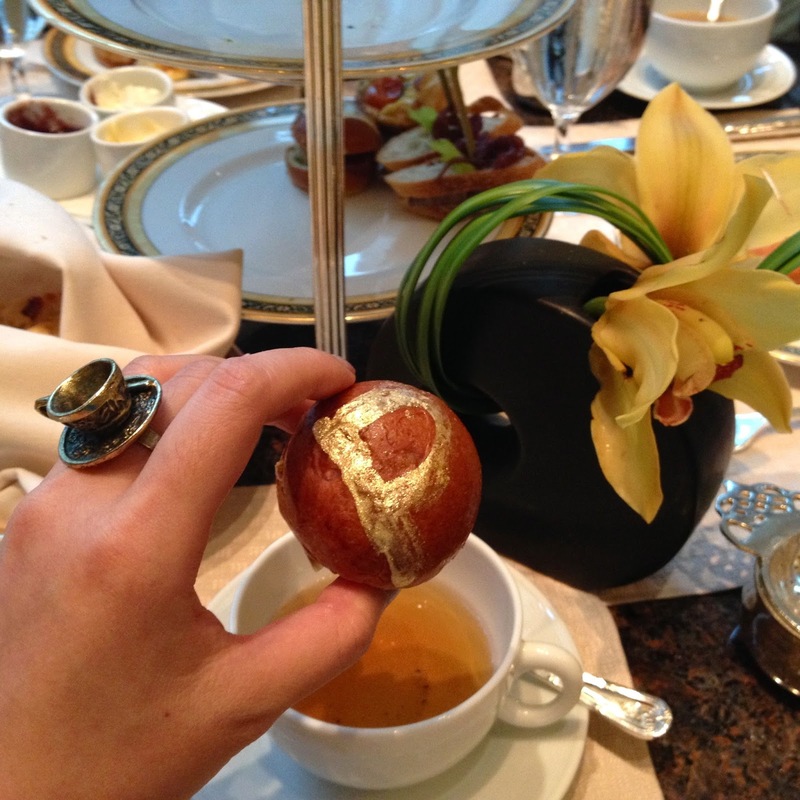 I love your tea cup ring! It is perfect for the occasion. Wow, what a beautiful assortment of beautiful pastries! It's great. You look very happy. The food looks great! Everyone must have an electric smoker. I like your tea cup ring. The pastry looks great! I'll be back for the next post of yours. It's a lovely post. I like to have a tee and some cakes with friends. The pastry looks tasty. It will be a wonderful time having tea time! I wish I can manage one day to meet my friend too!